The Halo 4 Majestic Map Pack is is now available for 800 Microsoft points. Those who purchase Halo 4 War Games Map Pass or Halo 4 Limited Edition will be eligible to receive a 15% discount on the Crimson and Majestic Map Packs as well as the final map pack. The map pack will include three new maps: Monolith, Landfall, and Skyline. 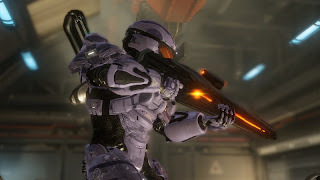 Check out this post for more information about the content included in the Halo 4 Majestic map pack.